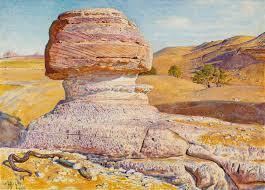 by B G Windus, however, there are many more to be discovered. The year that JMW Turner died, 1851, was the year that Ophelia was painted by J E Millais. Generally recognised as the iconic work of the Pre-Raphaelite Movement, it was bought that year by the art dealer Henry Farrer for 300 guineas and sold to BG Windus, who became an early patron of the Movement. BG Windus had been gradually selling his Turner collection and by late 1850s only had a few Turner paintings still in his possession. Windus's enthusiasm for the Pre-Raphaelites was not shared by John Ruskin, who was initially circumspect but soon recognised that they were following his precepts "Art is not a study of positive reality, it is the seeking for ideal truth." 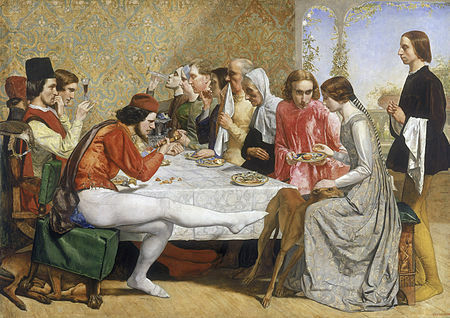 The Pre-Raphaelite Brotherhood (P.R.B) was founded by three young students from the Royal Academy: William Holman Hunt, John Everett Millais and Dante Gabriel Rossetti, later joined by James Collinson, F. G. Stephens, Thomas Woolner and William Rossetti. They admired the art before Raphael, which they considered to be truthful, not overblown, dramatic and mired in academic convention. Their aim was to create a new style of painting which focused on medieval subjects, artistic introspection and beauty, drawing inspiration from the visual arts and literature. Their colourful paintings were full of symbols and literary references, were sensitive to social issues and closely observed the natural world. 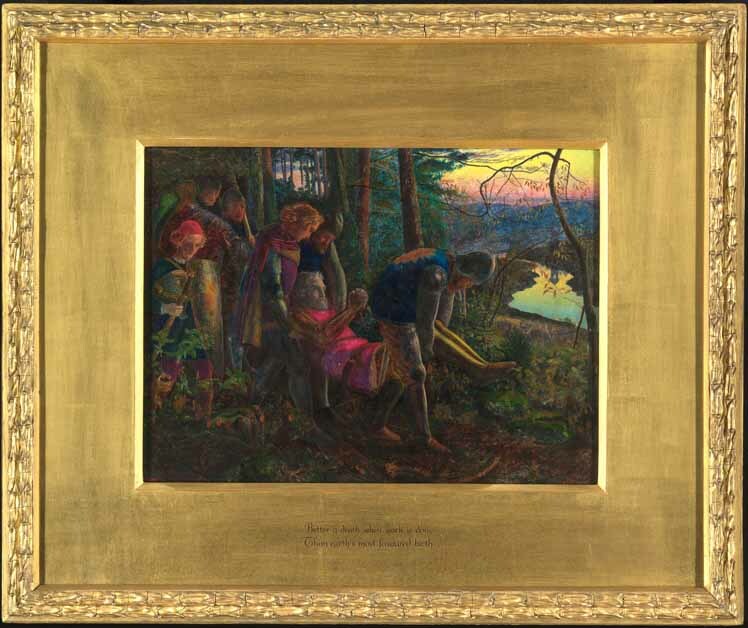 Despite the dissolution of the Brotherhood after only a few years, there was a second phase which included William Morris, Edward Burne-Jones, Arthur Hughes and Valentine Prinsep. Ford Madox Brown was close to the brotherhood though not a member of it.